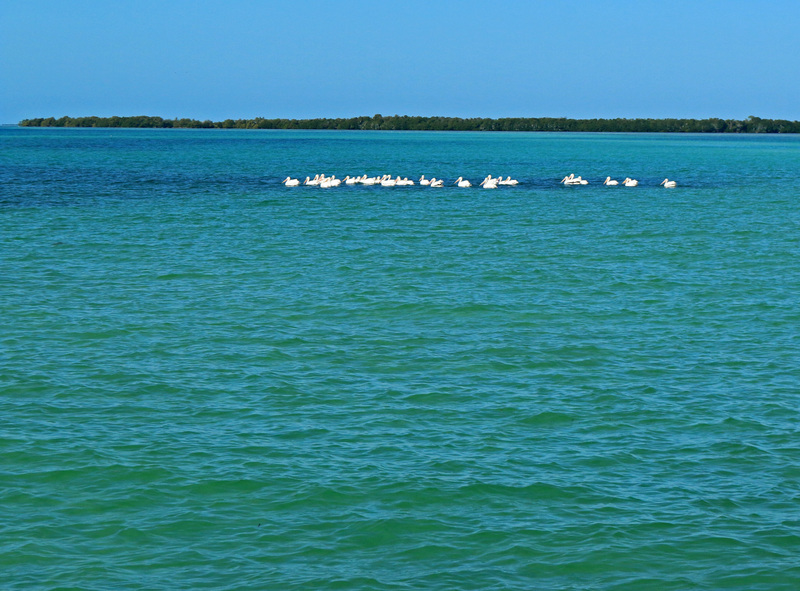 We felt awash in blues as our tour boat skirted the waves to anchor near a shallow sand flat off of Key West, Florida. The aquamarine water gave the sky a run for its money, so clear and sparkling beneath a noon-day sun. Mangrove islands broke the horizon with their green silhouettes, the golden sand of beach patches rising here and there to add even more color to the landscape. If you close your eyes and imagine “paradise,” this vista would be it.